Pro wrestling fans will appreciate Da Undatakah card. One of the coolest and most unique things about Blizzard as a company is how it sneaks real-world references into its games. World of Warcraft quest text and NPCs regularly make subtle references to things ranging from politics to film. The Overwatch character Moira has a skin that looks like she raided David Bowie’s closet, and Soldier: 76 regularly runs around looking like Evel Knievel. 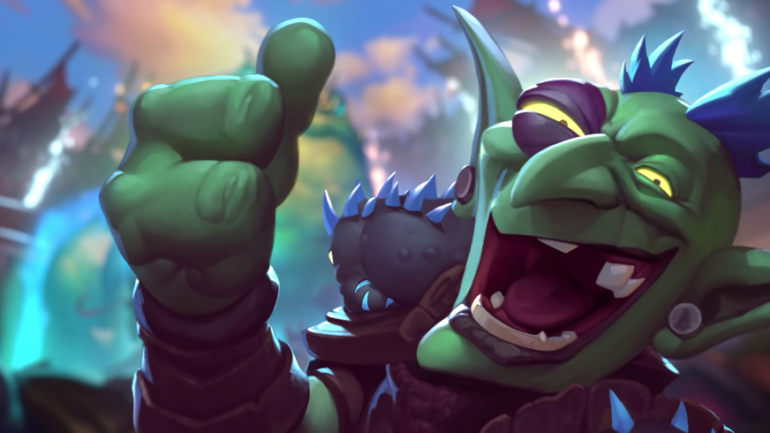 With the launch of Rastakhan’s Rumble, the Hearthstone dev team has hidden some hilarious references for anyone who might have a keen eye for professional wrestling. One of the most talked about cards of this expansion so far is none other than Da Undatakah. Da Undatakah is an eight-cost 8/5 with a Battlecry that allows him to gain the Deathrattle effects of three friendly minions that died earlier in the game. 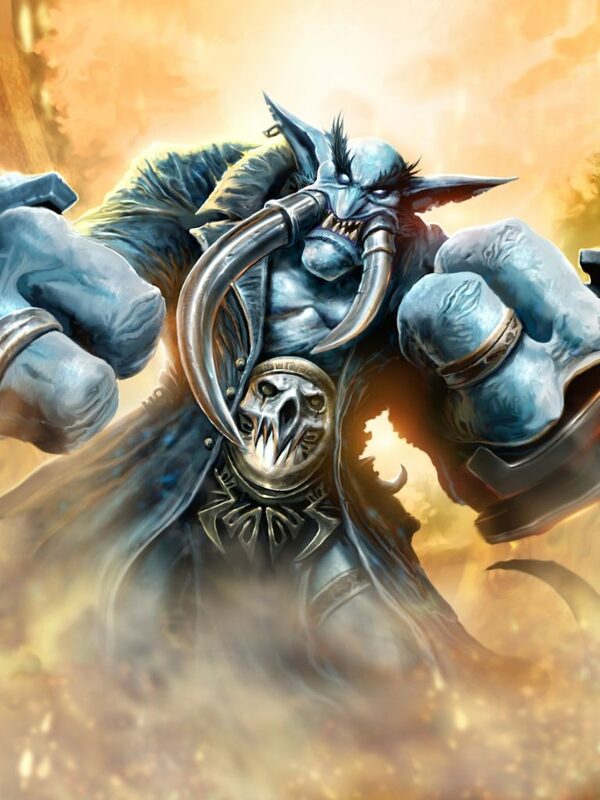 The card art showcases a massive troll wearing a long black trench coat and what appears to be a championship belt. If the name, outfit, and association with death weren’t enough to give it away, wrestling fans’ heads probably exploded when they found the card’s flavor text. The flavor text makes reference to throwing Mon’kind off of a steel cage and making him plummet 16 feet through an announcer’s table. If you were a kid in the ’90s and watched wrestling, you know exactly what this is alluding to. Even if you didn’t watch wrestling, you probably heard people talking about it at school. This makes reference to one of the most controversial and legendary spots in pro wrestling history. During a match type dubbed Hell in a Cell between The Undertaker and Mankind, the two agreed to do a spot where The Undertaker threw Mankind (Mick Foley) off of the cell onto the announcer’s table. In interviews since the match, Foley said he was confident that he could hit the table in a way that it would somewhat cushion his fall. After taking the 16-foot plunge through the announcer’s table, Foley eventually recovered and took another bump through the cell onto the ring. He also endured a number of chair shots during the match, which caused him to lose multiple teeth. Foley has said on numerous occasions that he was highly concussed for the majority of the match, and The Undertaker has been quoted as saying he thought briefly that he had accidentally killed Foley. Blizzard solidifies this card’s homage to the real life Undertaker with another card in the expansion called Former Champ. Former Champ is a five-cost 1/1 with a Battlecry that allows him to summon a 5/5 Hotshot. In pro wrestling, the term hot-shot is regularly used to reference a match or segment that has to be finished fast. You might even consider Former Champ to be an homage to Mick Foley himself. 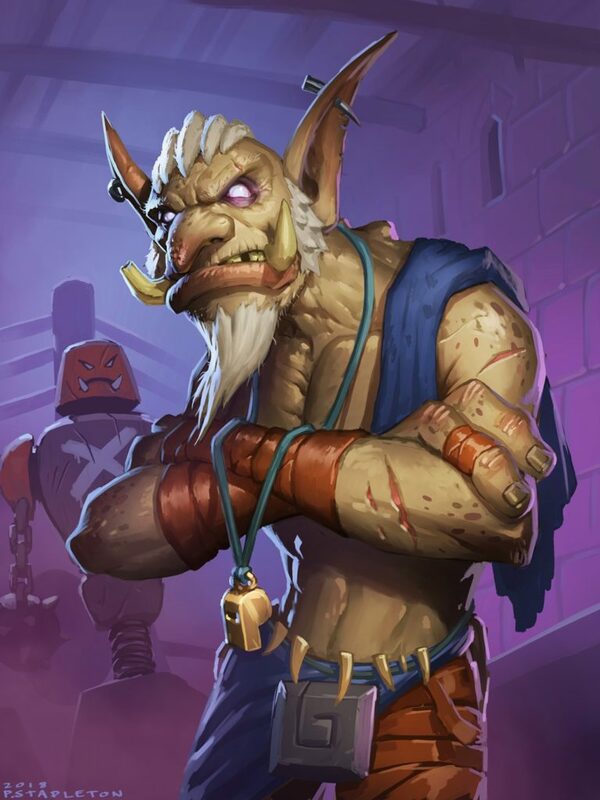 The card’s art shows a beaten and battered troll standing in a wrestling ring with his wrist and fingers taped up. Pro wrestlers regularly tape their fingers or wrists in this way to conceal razor blades which they later use to sneakily cut themselves on the forehead. The flavor text for Former Champ says the last time he saw action, The Undertaker ruled the meta. Blizzard choose to spell the name as The Undertaker instead of Da Undatakah, a straight reference to WWE’s deadman. As more card packs are opened and more digging is done, we could find a few more references to the world of combat sports. Some might even say Rastakhan’s Rumble could be viewed as a reference to WWE’s flagship yearly event, the Royal Rumble. As you climb your way up the Hearthstone ladder this season playing ranked, keep an eye out for more wacky wrestling references Blizzard may have sneaked into the expansion. Just try not to fall off the ladder, because you might end up with a tooth in your nose.